At Mueller Chiropractic & Wellness, we are passionate about helping children experience the optimal health that comes with having a properly functioning nervous system. Chiropractic care is a safe, natural and effective way to help your child experience optimal health now and into their adult years. 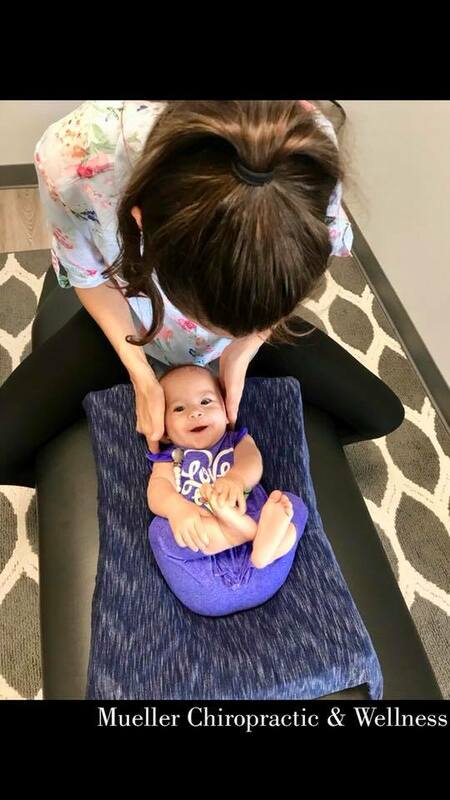 Rest assured that the Doctors at Mueller Chiropractic & Wellness always provide safe and gentle adjustments for patients of all ages, particularly children. They will ensure that your child is completely comfortable. Whether they are lying on the table, in your arms, on your chest, or playing on the floor. There are multiple ways that the doctors can successfully adjust your children. Did you know that even newborn babies need adjusted? Getting your newborn's spine and nervous system checked after the twisting and pulling of their spine and spinal cord from the birthing process is essential to a great start to a healthy life! The doctors at Mueller Chiropractic have seen patients as young as a couple of hours old. These are the most gentle adjustments because we know how delicate your new bundle of joy is. An adjustment on a newborn only takes the amount of pressure you’d need to check the ripeness of a tomato.